Write great content, grow your profitable business, delegate the tech work to us. You work hard to keep your business moving forward. I am happy to make sure technology doesn’t stand in your way. As a WordPress Rockstar, I have over 10 years experience with WordPress. I’m committed to provide great quality work for great client like you. I specialize in development and design of user-friendly custom made WordPress and WooCommerce websites from scratch. I always honor deadline and commitment with quality of work. My goal to secure long term and stable relationship with you. Work with me and you will be really satisfied, infact more than satisfied! If you want to know me more, so don’t hesitate to contact me. I hope we will work with him long term. Thanks Supriyadi! Supriyadi fixed an urgent migration issue we had with our main install. He was super quick to respond and had our new site up and running in no time. Really grateful for his help! Our production site was degraded for ~6 hours (broken images). Work was completed promptly, but we need to have stability. Our business is to sell "stability" to our customers, so if our own site is unstable, it reflects poorly. Supriyadi went over and above! Great job creating custom coded pages. Very responsive!! Thank you for your help!! Fast work and good communication. Awesome to work with, made updates fast! 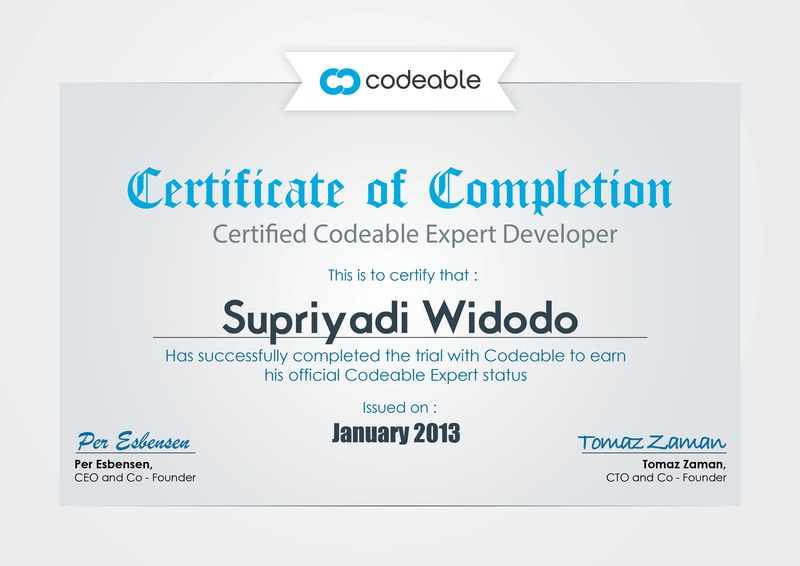 Supriyadi was very responsive, from beginning to end. He completed the project quickly, even faster than expected. He answered all my questions, and was gracious and patient when I was confused about the process or provided the wrong info. Very pleased with his work!